Before Zimpl will work there are some steps you need to follow. 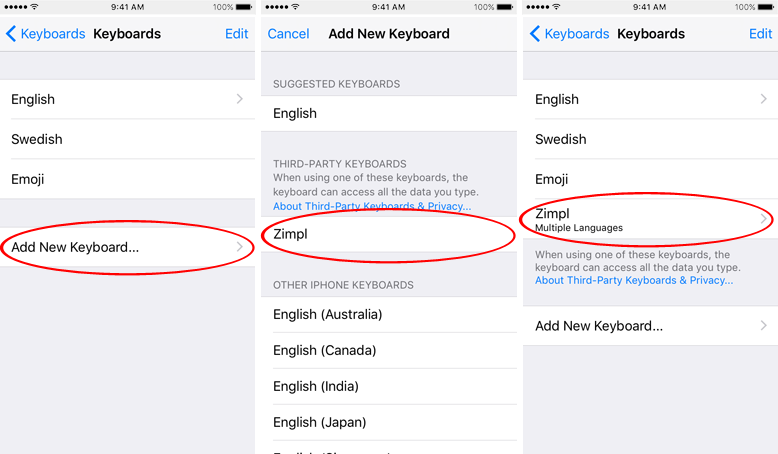 First you have to enable Zimpl as a third-party keyboard. Start Settings on the homescreen. then tap the switch Allow Full Access and finally press Allow. 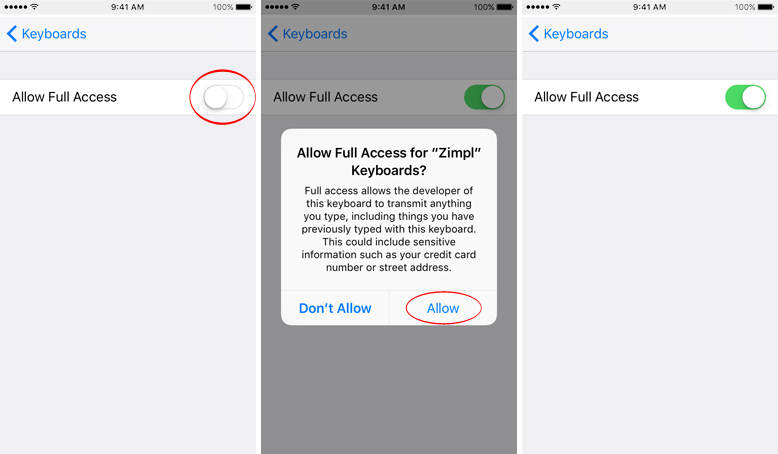 After you have enabled Zimpl, you need to select it as the active keyboard. In the standard keyboard, long-press the globe key and select Zimpl in the popup menu. Go to App Store on you iPhone and search for Zimpl. 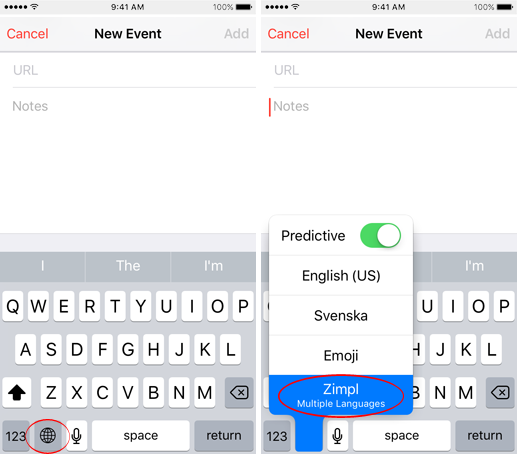 Can I use Zimpl on all my iPhones? Yes, when you buy Zimpl, the license is for your Apple ID account. This means you can install the app at no additional cost on any iPhone that has your Apple ID as its primary account. Will Zimpl work on my iPad? 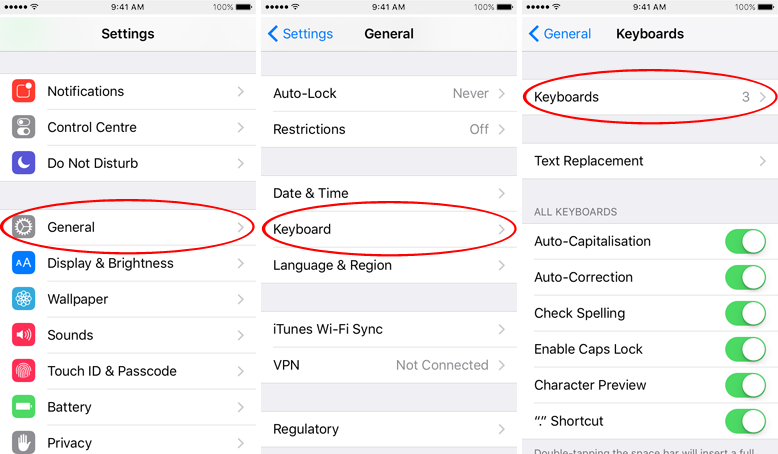 Yes, you can use it on any iOS device, using version iOS 8.0 or later, but it is optimized for iPhones. I have a new iPhone, how do I transfer Zimpl to the new device without having to pay for it again? If you are using the same account on the new device where you downloaded Zimpl to then it is easy to download on your new iPhone. How do I delete mistyped words from the pop up grid or the suggestions bar? Just start to type the unwanted word and when it shows up in the suggestions bar just long-press it and then press Remove in the message box. This removes it from the pop up grid as well. How come the "common words" don't change?